We tried messing around stuffing garments with feathers when we had a lightbulb moment! Why not use fleece instead of feathers in combination with with tweed for super warmth? -( which is great news if you're allergic to feathers ). 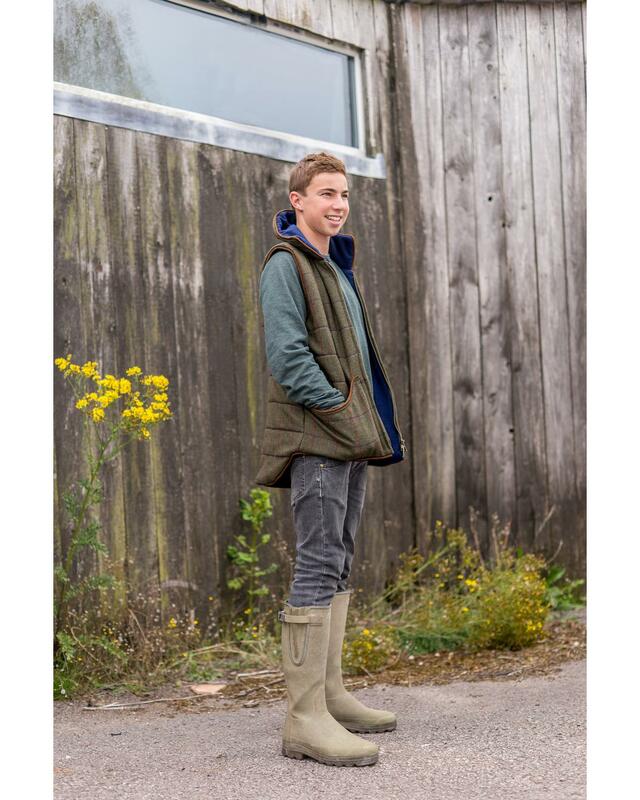 The result is a very warm but beautifully streamlined gilet featuring triple layered fleece behind 18oz tweed. Practically and stylishly finished with a full - length, two way chunky brass zip and two man sized pockets. Henley is a lovely dark green tweed with a subtle dark check.